The roots of this conflict are hard to untangle. It goes back at least decades to the period of British colonial occupation. But current hostility also speaks to a scarcity of land and economic resources that manifests as communal hostility. Undoubtedly there has been violence and provocation on both sides. We commit ourselves to open-minded investigation of the past and present sources of this violence. Although some Rohingyas have lived in Myanmar for generations, if not for several hundred years, the former military regime?s 1982 law excluded them from among the nation?s many recognized ethnicities, denying the Rohingyas citizenship and basic rights. As they are driven from their homes, neighboring Bangladesh prohibits the entry of them as refugees, and also denies citizenship to Rohingyas presently living within its own borders. It is not surprising that the United Nations views the Rohingyas as ?one of the world?s most persecuted minorities.? We call for the government of Myanmar, and the leaders of the Buddhist Sangha and other religious leaders to play an active and nonviolent role in resolving the conflict in Rakhine state. Central to this is to grant humanitarian assistance and work towards tolerance and respect for all of Myanmar?s diverse inhabitants. We also call on Buddhist monks across Myanmar to set aside fear and the delusive religious discrimination; to honor the Buddha?s robe and example by being peacemakers for all people. May all beings ? Buddhist, Muslim, Eastern, Western ? and all peoples of Myanmar recall the Buddha?s vital message. 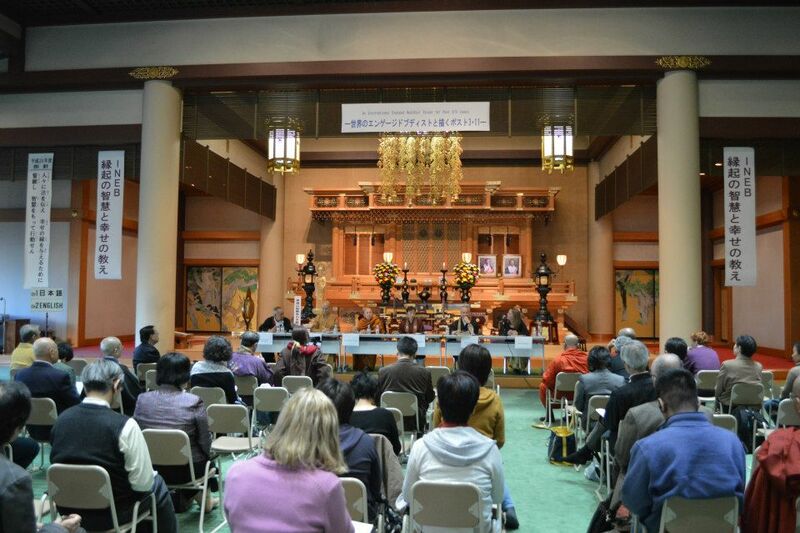 Nov. 8-9, 2012 at the Kodo Kyodan Buddhist Fellowship in Yokohama, Japan.